LUANG PRABANG, LAOS - NOV. 2, 2016: Motorcycles move in the city center. 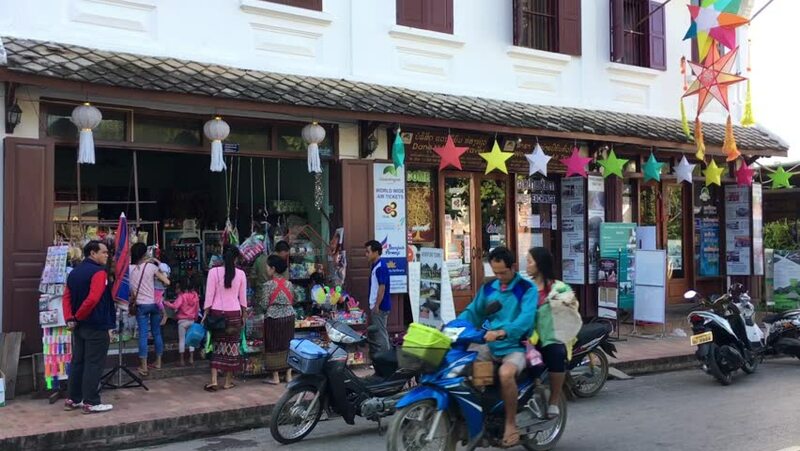 It is a city consisting of 58 adjacent villages, of which 33 comprise the UNESCO Town Of Luang Prabang World Heritage Site. hd00:10MUNICH, GERMANY - CIRCA 2011: German bicycle taxis in Munich's Marienplatz. hd00:05HA NOI, VIETNAM - AUGUST 12, 2016: Tourists, street vendors and commuters on busy street in central neighborhood in capital Hanoi city, Vietnam. 4k00:30Bucharest, Romania,May 20 2018: People enjoying in the park. 4k00:20UKRAINE, DNEPROPETROVSK, SEPTEMBER 1, 2015: Young children with flowers at first day of school. Beginning of school year in Ukraine, September 1, 2015 in Dnepropetrovsk, Ukraine.